DUBLIN & South Eastern Railway Mogul No. 461 laid the ghosts of its former steaming problems to rest during mid-June when it and the Railway Preservation Society of Ireland’s other main line locos put in faultless performances on Steam Dreams’ multi-day ‘Emerald Isle Explorer’. 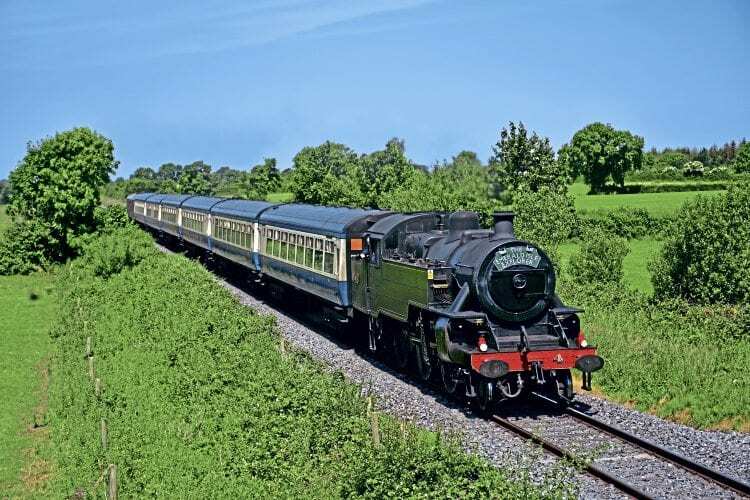 The tour officially got underway on June 13 with Flying Scotsman working the opening UK leg from London Victoria to Chester, while last-minute preparations were completed on the opposite side of the Irish Sea. Two days later it was No. 461 that had the challenge of living up to the celebrity ‘A3’, hauling the opening Irish leg over its former home turf from Dublin Connolly to Rosslare Europort. The green 2-6-0 was in fine form as it worked over the Dublin Riviera, responding to every request made of it by driver Robbie Jolley and fireman Keith Farrelly. Most passengers chose to disembark at Wexford while a few stayed on board for a southwards run to Rosslare, No. 461 having put in what the RPSI’s Joe McKeown described as a “magnificent” performance.